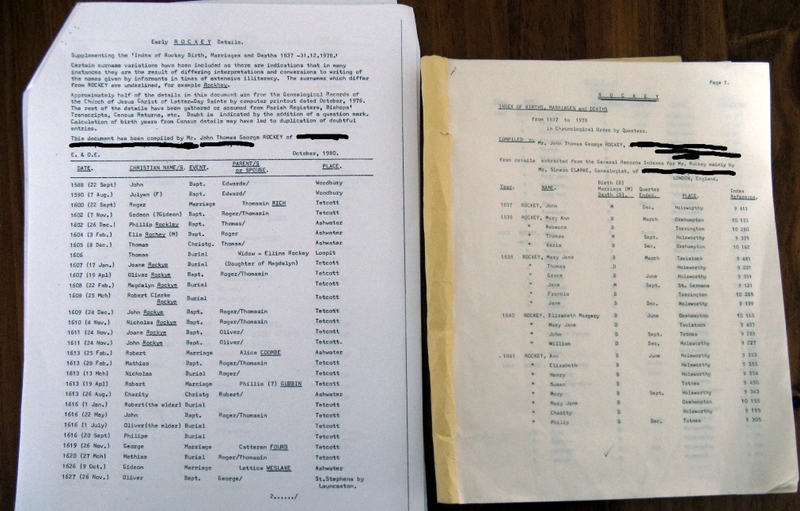 Rockey Genes contains Births, Marriages and Deaths listings (BMD) of people with the surname of Rockey and its variations in the United Kingdom from 1588 to 1978. The Early BMD list is from 1588 to 1853 it contains Rockey’s and variations. The Late BMD list is from 1837 to 1978 and only lists Rockey’s with no variations. The site also contains links to other Genealogy websites and Genealogy resource sites to help you research your Family Tree. The Rockey surname has had a rich and varied past, a lot of families in England and America will have had a Rockey Ancestor in their Family Tree at some point, my hope is that you will find this site useful in tracing their Ancestry or to give you a head start in finding out more about a relative via one of the numerous commercial and free Genealogy websites listed on my links page. Spelling variations of the Rockey family name listed on this site include: Rockley, Rochey, Rockye, Rocky, Rakee, Rochay, Rockkey, Rockhey, Rokay, Rackey and Ruckie. The variations of the Rockey surname were caused by wide spread illiteracy, various racial accents and different pronunciations of the Rockey name. It is quite possible that the Rockey surname also evolved from these surnames Roche, Roque, Rocqui, Roach, Roache, LaRoche, LaRoach, DeLaRoach, Roack, Roch, Roiche, St.Roche, Rocheland and Rochellan. 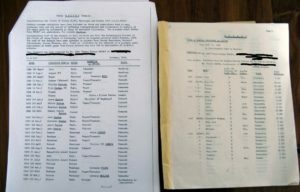 The records I have were compiled by my late Grandfather John Rockey and researched by a Genealogist a certain Mr Clarke during the 70’s and early 80’s. The information found on Rockey Genes is free to use, but please feel free to donate via PayPal towards its running costs.